This winter, please drive safely. The lawyers at Cardaro and Peek have years of experience handling cases involving significant personal injury, including trucking accidents. The recent snowfall in Baltimore might be a lovely sight, but it can create dangerous driving conditions for commercial truck drivers and others on the road. Learn how you can practice safe driving habits during inclement winter weather with the following tips. Having your truck or vehicle professionally maintained is the best way to ensure that it’s safe to drive during the winter months. Ask your auto mechanic to examine the headlights, brake lights, tires, brake system, heating system, airbags, and suspension. 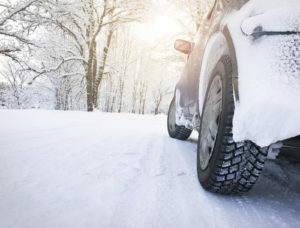 Complete these tasks as soon as possible, so your vehicle is prepared to operate safely all winter. There are also tasks that you can complete at home to ensure the safety of your vehicle. Remember to fill your windshield washer system with deicing fluid when the temperature dips below freezing. If you notice that your windshield wipers are broken, have them replaced before you travel. When snow and ice accumulate on your vehicle, it can cause accidents on the road if not removed before driving. Sheets of ice and snow fly off of windshields and catapult towards drivers behind you, causing them to swerve out of the way. Clearing your car of snow and ice beforehand increases the safety of your fellow drivers during and after inclement weather. Whether you’re commuting to work or driving to the airport, it’s important to plan your travels accordingly during the winter. Before you drive, check the local weather reports for road updates and conditions. Likewise, add time to your commute when driving during or after a snowstorm. Keep in mind that the roads will be icy, even if plowed, and traffic may be increased as a result. This entry was posted on Friday, January 18th, 2019 at 1:32 pm. Both comments and pings are currently closed.